Continuing the popular Church Micro series. An offset cache situated close to this village church with handy parking at both locations. 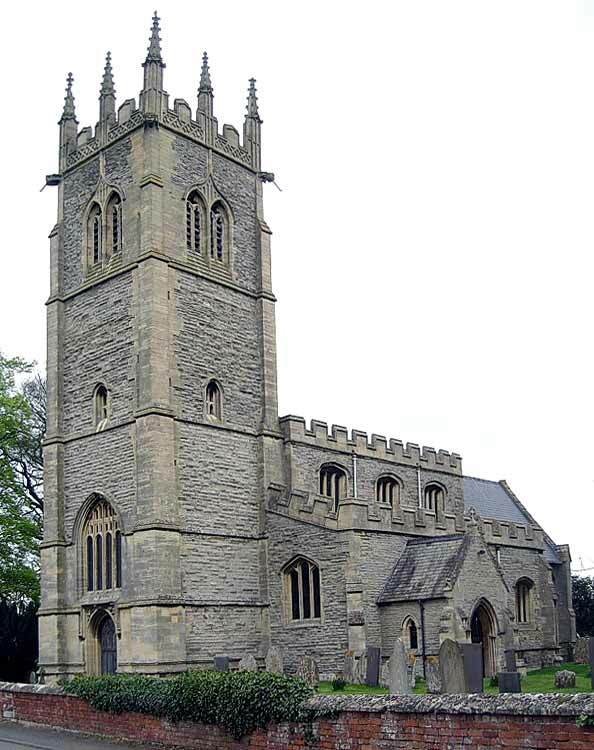 Little more than two miles south of Newark, and near the little river Devon, the tower of Hawton’s All Saints Church, with its eight pinnacles, can be seen from some distance across the fields. The oldest part of the church, the north arcade, is 13th century, the south arcade is early 14th century whilst the clerestory and the tower were built in 1482 at the expense of Sir Thomas Molyneux. The church was restored by Charles Hodgson Fowler in the 1880s. The existence of a comparatively large church containing high quality carvings in such a small village is something of a mystery. Some authorities have surmised that the masons who built the chancel with its magnificent Easter Sepulchre sedilia and great east window may also have worked on Southwell Minster and that the plan for Hawton was for it to become a collegiate foundation. The name Hawton (Holtone or Houtune) means a settlement in a hollow, or alternatively a dwelling in a wood. The cache can be found by obtaining details from the gravestone of a Doctor who has a town name for a surname and has letters after her name.